Balancing weights made of tungsten alloys. Balancing weights made from our tungsten heavy metal composites Densimet® and Inermet® compensate for oscillations, weight transfers, imbalances and vibrations, create or shift centers of gravity and more generally ensure the optimum balance. Balancing weight made of the tungsten alloy Densimet® (tungsten, nickel, iron). Massive weight in a tiny space. Thanks to their high densities of up to 18.89 g/cm3, our tungsten heavy metal alloys Densimet® and Inermet® offer outstanding performance wherever a lot of weight has to be packed into tiny spaces. Our tungsten heavy metal composite materials are used as balancing weights on crankshafts or in balance shafts in formula 1 racing cars or large diesel engines. In addition, due to their high density, high modulus of elasticity and optimized ease of mechanical processing, our tungsten heavy metal alloys are ideally suited for use as damper and absorber components in the drive train. In the aviation and aerospace industries, our tungsten composite material Densimet® or Inermet® provide outstanding performance, for example, in propeller and helicopter blades, rudders, radar equipment and avionics systems. High elasticity. 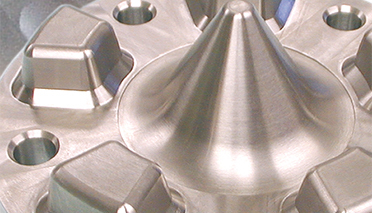 Precision forming and machining. Because pure tungsten is very brittle, we add nickel and iron to our composite materials and apply the molten material in a liquid-phase sintering process. The nickel-iron phase binds the tungsten grains and consequently guarantees high ductility. The advantage: Our material offers optimized mechanical processing capabilities and is also able to withstand high loads. Both easily processed and offering high densities, our balancing weights are ideally suited for applications in the watch industry. 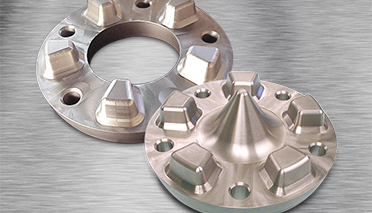 For example, machined weights made of non-magnetic Inermet® are used as bobs on watch rotors. With their complex geometries, our weights are also used to balance microscopes and high-precision optical instruments as well as for other products in the semiconductor industry. Both Densimet® and Inermet® have a tungsten content of over 90 %. We add nickel-iron or nickel-copper as a binder. Whether you want a higher density or greater elasticity, a weakly ferromagnetic or a paramagnetic product: our range of materials contains the right solution for your application. We would be delighted to help you make your choice. Just contact us!